Rioja has so many obvious attractions – its extraordinary wine offer, lovely landscape and manageable scale make for a brilliant long weekend. But one of the best –and often overlooked- ways to milk even more pleasure out of a trip to this north eastern corner of Spain is its proximity to the jewel of Spain’s northern coast -San Sebastian. 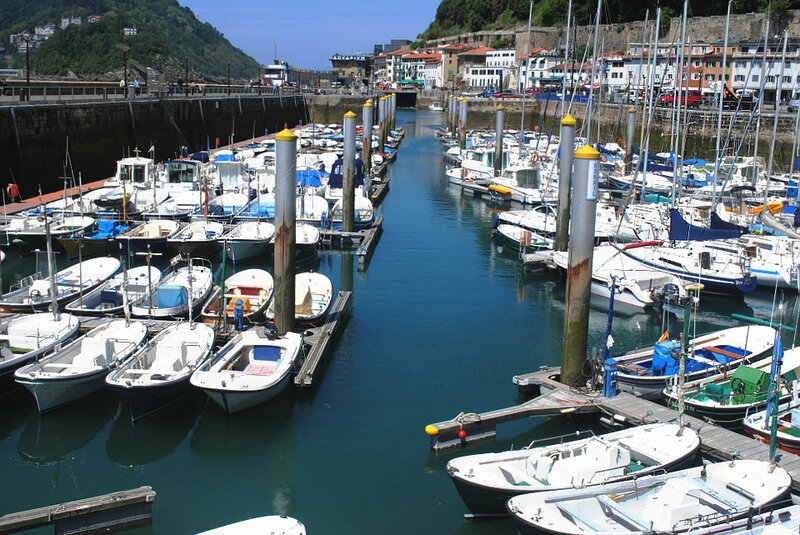 San Sebastian is a small but perfectly formed city grouped around three beaches, bisected by the river’s estuary and with distinctive “barrios” – districts all within easy walking distance. The current Spanish Michelin Guide reveals the city has three 3 star Michelin restaurants, one 2 star and five 1 star restaurants. That’s before you explore the amazing tapas scene here. It’s a very egalitarian gourmet’s paradise – you can buy the most delicious tapa of seared scallop, wrapped in pancetta on apple puree at La Cuchara di San Telmo for 4 euros, share a mini Bloc de Foie with apricot, hazelnuts and brioche in Sirrimirri for 7.5 euros or pick at the extensive selection of montaditos ( Toasts with various toppings) in Ganaderia for less than 2 euros each. And there are few places in Spain so committed to offering really interesting wines by the glass. Time to burn off all that good food? As well as its beaches San Sebastian has a network of cycle paths and walks around the perimeter of the 2 mounds that dominate each end of the main beach -La Concha. If you’re feeling virtuous enough you can walk up Monte Urgull at the eastern end of La Concha above the old town and the views repay the slog. There’s a funicular to get you up to Monte Igeldo on the opposite side of the bay- and spectacular views and rather good food at Branca restaurant just below, where the torrija (French toast dipped in custard then caramelized) is simply the best I’ve eaten in Spain. If a gentle form of exercise is more appealing, then a stroll around the main shopping area beckons. San Sebastian’s main shopping streets are elegant and prettily lit –arranged around a colonnaded square with plenty of bars where you can stop and watch the locals and the early evening paseo. The city also has plenty of cultural events throughout the year with festivals of cinema, theatre and Jazz and art exhibitions. Aside from all these attractions this city is easily one of the most welcoming, friendly and helpful places I’ve ever visited – little wonder that most visitors can’t wait to return. Bilbao really is the best option for flights –the more so since BA now offer direct flights from Heathrow. Their 8.25 am flight will have you landed and united with your case by 11.30 in Bilbao airport. Getting to San Sebastian could not be easier – pick up the coach just outside the main airport exit. The Donostia (Basque for San Sebastian) coach leaves at quarter to the hour (more often in high season) and takes just over an hour – price 17 euros each way. You don’t need to book. The terminus in San Sebastian is the bus station – where you can pick up a taxi if need be. You’ll be there in time for lunch! If you fancy adding on 2 or 3 nights here to our Rioja trip and you’re using BA then do take advantage of the hotel deals they offer in conjunction with flights. 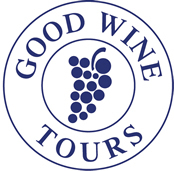 You can now book for part of your trip. It‘s also worth finding a centrally located hotel so you’re not dependent on buses and taxis to get around. Staying in the old part of town may well mean using a pensiòn – characterful, mostly small and less luxurious but you are in the heart of the place. The network of tiny streets crammed with tapas bars is delightful and you’re also very close to the small, picturesque port area. At the other end of the spectrum there is the Reina Cristina -5 star unabashed luxury and also incredibly welcoming. It’s perfectly located between the old town, the shopping area and the beaches opposite the last bridge across the river to Gros and the Zurrriola beach. BA seem to offer the best deals here, particularly out of high season. Guests can borrow the hotel’s bikes for 2 hours to explore the city and the concierge here is particularly friendly and helpful.